Welcome to Light On Light Through, Episode 103, in which I interview Linda Kaplan Thaler. Linda and I wrote a bunch of songs in the late 1960s, including "Not Yet Ready to Say Goodbye," which appears on my 1972 Twice Upon a Rhyme album, mentioned from time to time on this podcast. Linda went on to write the world-famous, iconic "Toys R Us" jingle in 1983 ("I Don't Wanna Grow Up, I'm a Toys R US Kid"), mastermind the Aflac Duck campaign nearly two decades later, and work on the political campaigns of both Bill and Hillary Clinton. She has also co-written four books, including The Power of Nice, and the recently published Grit to Great. We discuss all of this and more on the podcast. 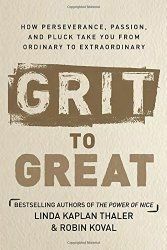 You can get Grit to Great here. Tony DeSanto sings "Not Yet Ready to Say Goodbye"
reflection of me or something more real?